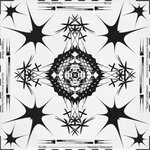 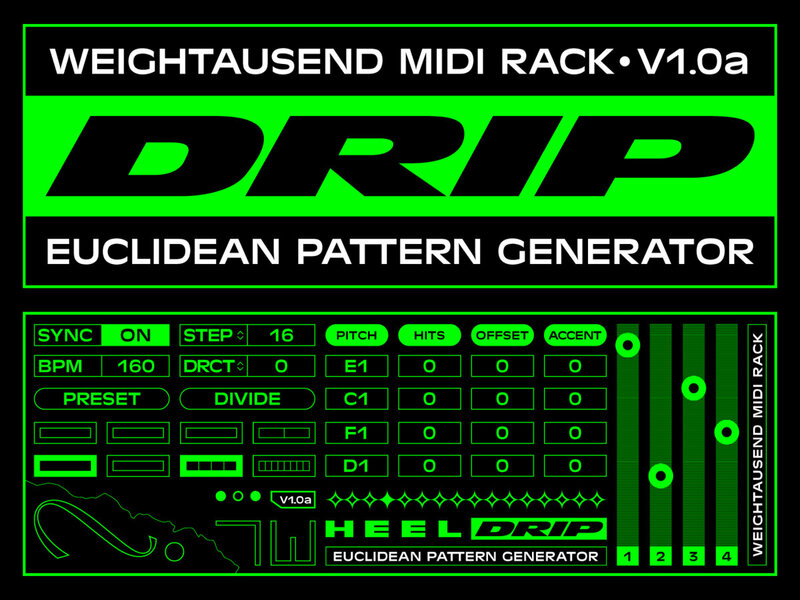 DRIP v1.0a | MIDI Euclidean Pattern Generator. 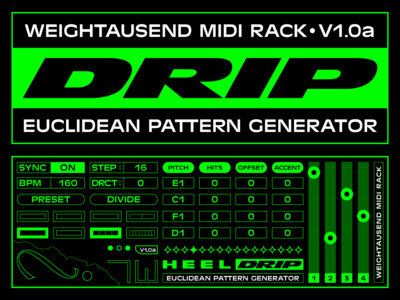 DRIP is a 4 channel MIDI euclidean sequencer, part of the WEIGHTAUSEND MIDI RACK. 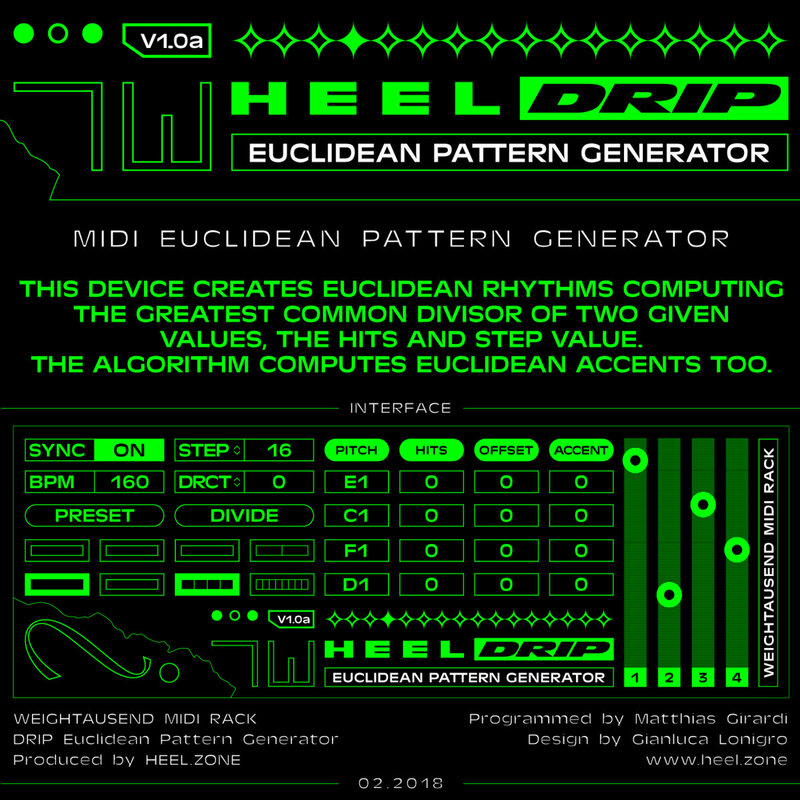 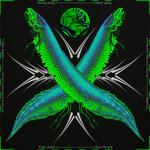 It is the first in a series of 4 Max 4 Live devices. 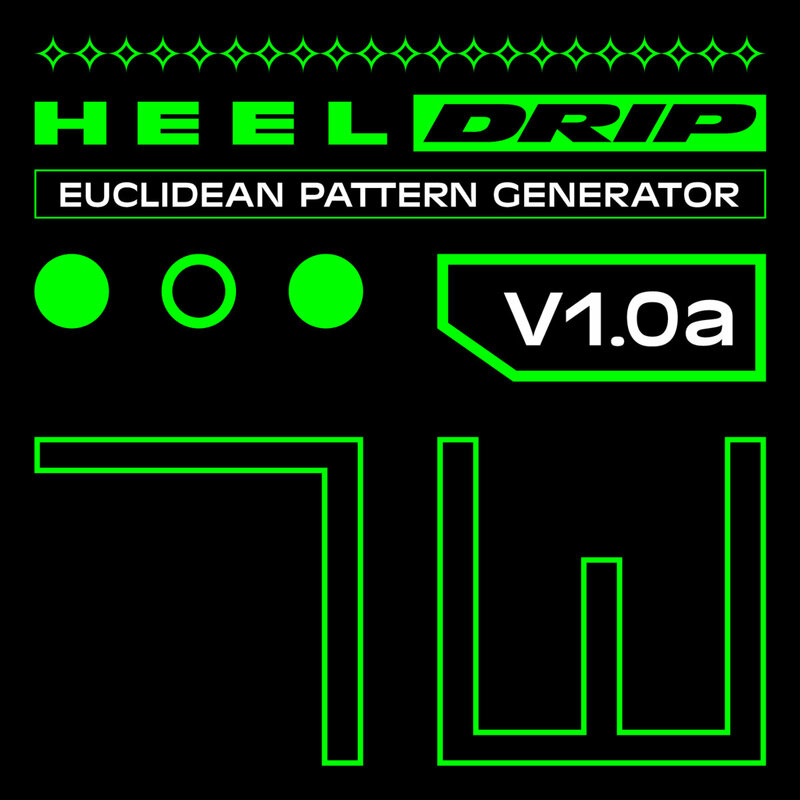 DRIP creates euclidean rhythms computing the greatest common divisor of two given values, the HITS and STEP value. 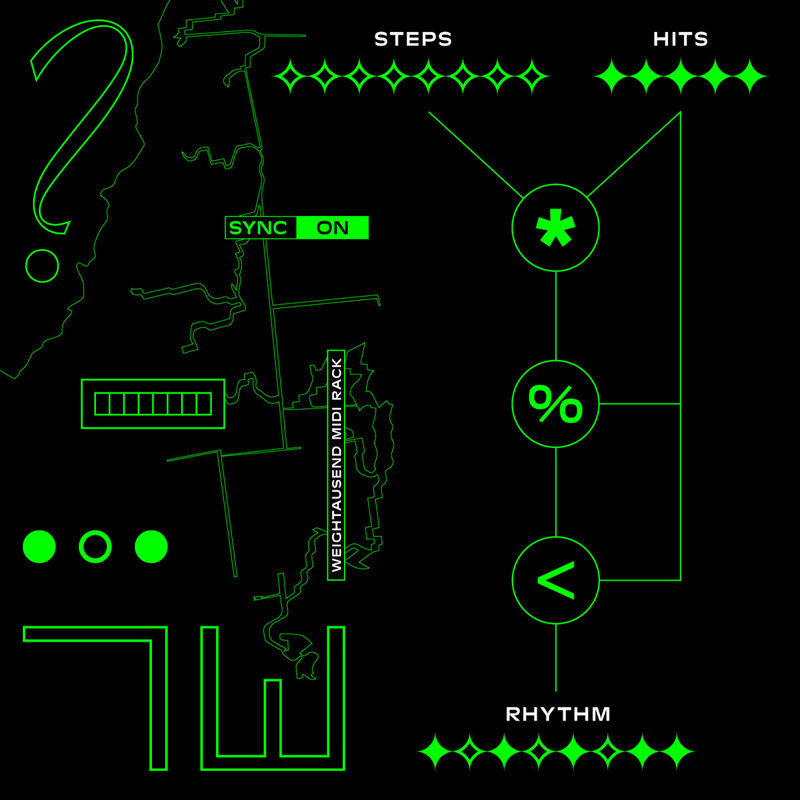 The algorithm computes euclidean accents too. 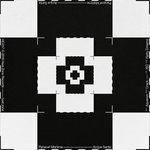 An extended standalone application will follow the release of each device.